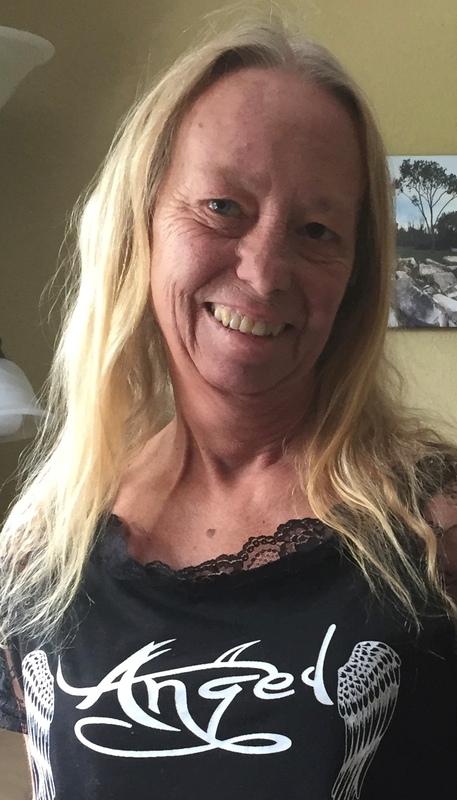 Brenda Kaye (McRobbie) DeVries, 57, of Clyde, OH passed away on October 3, 2018 at her home. She was born on December 31, 1960 in Perrysburg, OH the daughter of Dave Kiser and Deborah McRobbie. Brenda married Ryan DeVries on November 16, 2001 in Bellevue, OH and he survives. She worked for the Sunoco Station at the Ohio Turnpike Plaza and had previously cooked at Bonnie and Cy’s and for Dave Coleman at the Pie Shack. Brenda loved Bob Seger, animals and her dog, Dutches. She enjoyed crafts, dancing and singing. Brenda loved children and help to raise many children in her lifetime. Brenda was an avid Ohio State Fan. Brenda is survived by her husband, Ryan DeVries, Clyde; children, Allen L. McRobbie and Damien Cranston both of Fremont; siblings, Kim Croudup, Green Springs, Delasandra “Squeaky” Coats, Toledo, Jacci Young, Fremont, Jerri Croudup, Findlay, Joy Kiser, Fremont, Troy Kiser, Arizona and Danny Kiser, Sandusky; grandchildren, Gabrielle, Makayla and Landen; one great grandson; step-brother, Larry “Butch” McGhee; mother-in-law, Helen DeVries; sisters-in-law, Sandra DeVries, Patricia Madaras, Susan Cleveland and Rena Thomas; many nieces and nephews and great nieces and nephews; and her best friend, Dave Coleman and several step-children. She was preceded in death by her parents; son, Dale Bockbrader, Jr., and brother, Robert Croudup, Jr. The family would like to thank Beth Cox, Dave Coleman and Sandy DeVries for love and care through her illness and a special thank you to the staff at Stein Hospice and the Dorothy Kern Cancer Center. A celebration of life ceremony will be held on Saturday, October 27, 2018 at First United Methodist Church, 510 W Maple St., Clyde, OH 43410 beginning at 11:00 a.m. with a fellowship to follow until 3:00 p.m.
Memorials: First United Methodist Church, Clyde, OH. Brenda, go ahead and take your rest…You were always the smallest of us all but you were most certainly mighty! You proved that on this journey. We were a family from long ago and we will remain. Love you forever Lil Bit. ❤❤❤Dickinson/Ferrous St crew. Rest easy my friend, The gang at Bonnie and Cys will surely miss you! Love hugs and prayers to her friends and family! She has always been a fighter and hard worker raising so many kids outside of her own, now she can finally rest. Hi To all the Family & Friends of Brenda’s, I am so sorry for your loss. I Knew Brenda from Bonnie & Cy’s Restaurant when I worked there and also when Brenda worked for Dave Coleman when he had the Pie Shack. Dave make ‘s good pies. Rest in peace Brenda. God’s blessings to you all. God bless your family. You were always such a sweet and loving gal. I knew your family well. Prayers for everyone. So sorry for the loss of your loved one. Sending prayers for you and your family. Rest in gods arms now my friend in peace in heaven.we shared some crazy fun times in high school and i will mever forget those or you. May YOU fly high with the angles free of the pain you had here on.earth. i love ya girl till we meet again…. Brenda was a sweetheart she was my brother best friend they reminded me of us when we were young where you seen one you seen the other . It’s a shame she went so young and the worst disease took her cancer and cancer is a ugly disease to have I pray for all her family and friends and my brother who loved her so deeply he has a broken heart and please pray to heal his heart ! R. I P Brenda you will be missed and loved never forgotten!! !